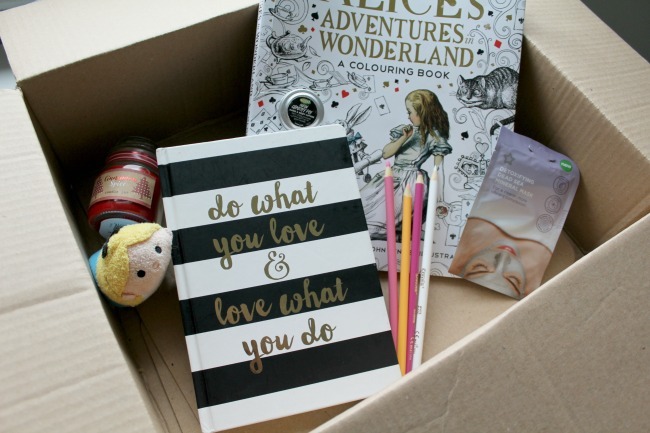 Subscription boxes are the stuff my dreams are made of, and if I had money to spend on them each month then believe me, my name would be on a whole tonne of lists. But, not being able to buy them doesn't actually stop me scouring endless review blog posts of different boxes and searching online to see what goes in them each month. So, I thought this post would be a really fun thing to do. 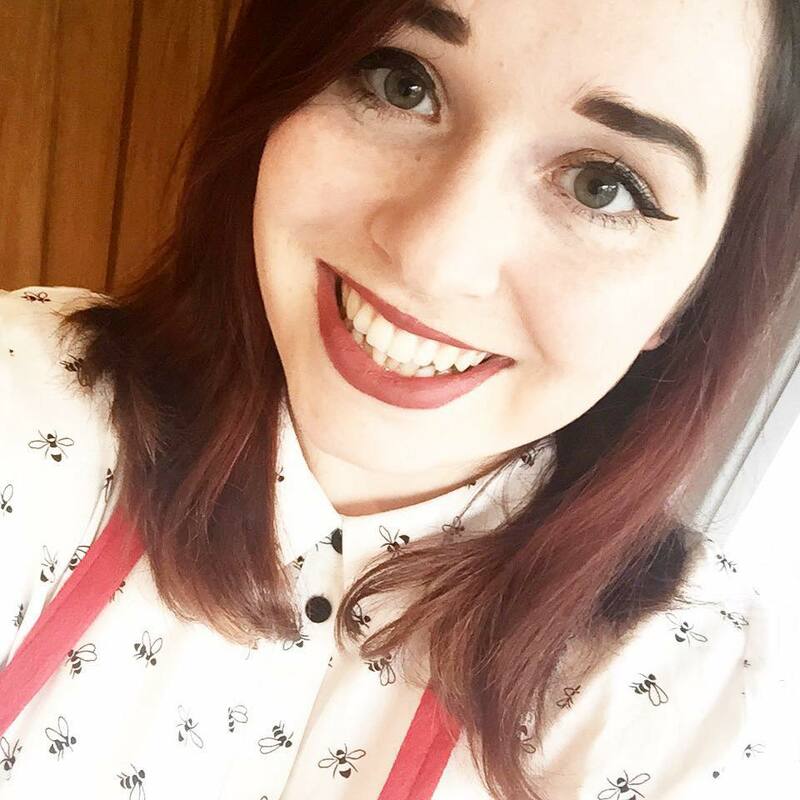 I've put together my own little box of bits that are all things I've talked about (or will do) on my blog in a roundabout way, and all things that I would love to see if I opened up a subscription box. I've gone for a nice range of beauty and lifestyle picks so that there's hopefully something for everyone in here. First of all I knew I wanted to put an adult colouring book in. These are my favourite things at the moment and if you haven't tried one then definitely pop one on your Christmas list. I've gone for quite a relaxing theme for this box so this fits in perfectly. I've chosen the Alice in Wonderland colouring book to go in because it is just beautiful, and I've dedicated a shameful number of hours to filling parts of it in. Also in the lifestyle section, is a pretty darn cute tsum tsum. I love my Alice tsum tsum, but if you have a peek at my top 10 Disney films post, then you'll be able to see more of my little collection. 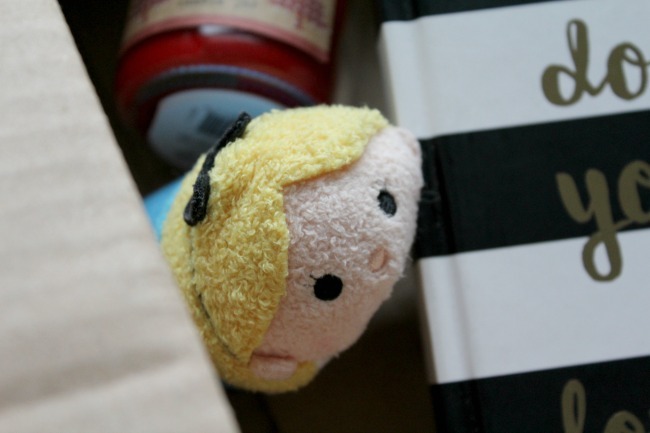 Tsum Tsums are simply adorable, and popping in a limited edition one to the box would definitely brighten up my day. I'm not alone in this, I'm sure(?!). A good notebook is a blogger essential, and I seem to have hundreds. BUT, I've somehow managed to put something in each of them, so that's basically a good enough excuse to need more, right? This is one I picked up from T K Maxx and I just love it. 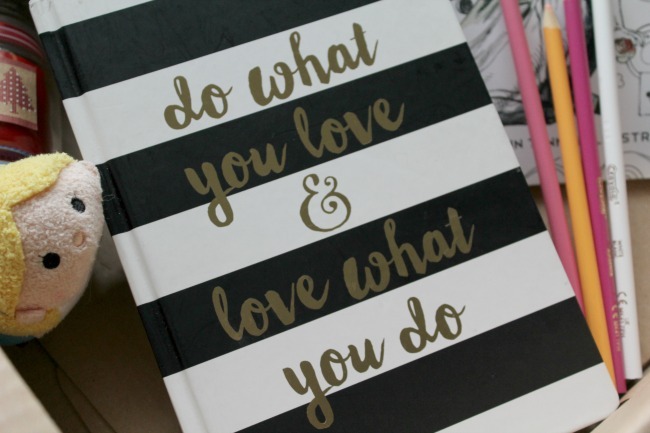 It's one of my two main notebooks that I do my freelance/blogging work in and the quotation on the front motivates me every time I pick it up. Plus the design itself is fab, so it's a win-win really. 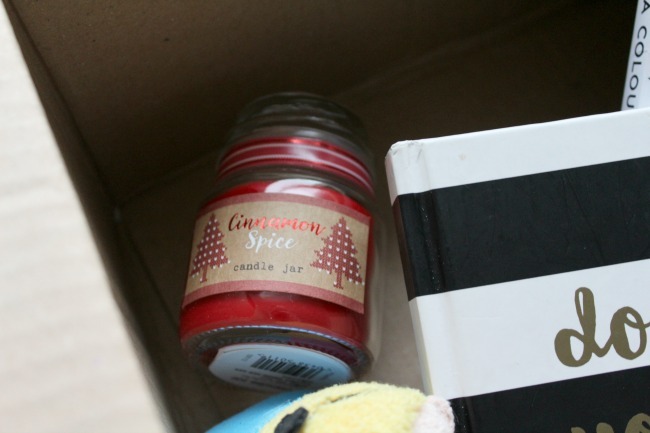 And last, but definitely not least, for lifestyle would be a seasonal candle. This year I'm loving spiced Christmassy scents for Winter, although I haven't yet broken out my festive candles - they're being saved until December hits. This cinnamon spice one from Wilkos smells beautiful, and I can imagine it making my room feel very hygge. Now onto beauty. 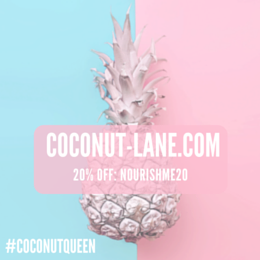 It wouldn't be a relaxing subscription box if it didn't have some goodies to pamper yourself with now would it? 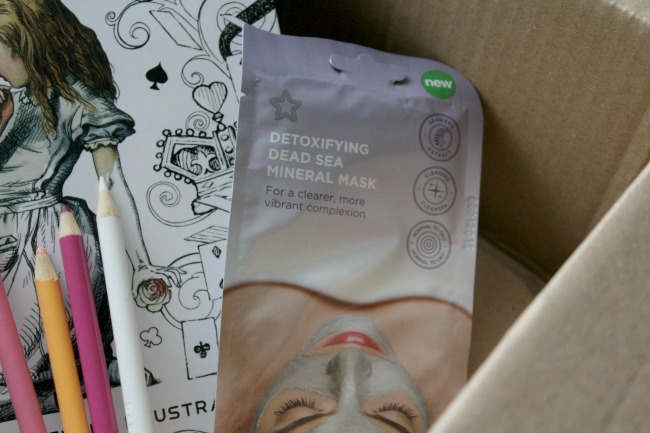 I love face masks, and any subscription box isn't really complete without one in my opinion. Note: this has made me very disappointed in the past. Superdrug do some amazing face masks, and I'm actually in the process of testing their entire range out for a future post for you all. This detoxifing dead sea mineral mask is one that I've come back to time and time again because it makes my sensitive combination skin feel uhh-mazing. The last tiny thing I popped in was some hand cream. This is something I can't live without in these colder months - my hands just always seem to be chapped. I've chosen the LUSH charity pot hand and body cream in a tester size. LUSH's lotions are something I can always rely on to hydrate my skin without making it oily or irritating it. 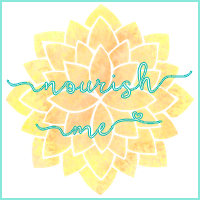 And there we have it: my Nourish ME subscription box. What would you put in yours? I would LOVE to see some of you make posts like this! Colouring books are the best, aren't they? !